Cool milled below 44°C from unroasted South African pecan nuts, and a little cold-pressed sunflower oil, no added salt. Delicious as a bread spread, in sauces, nut-milk, dips, dressings and baking. Cool-milled below 44°C from organic raw pecans. In our all organic factory we are proud never to use refined oils, palm fat, emulsifiers or anything artificial. Natural nutritious oil may separate on the surface, just stir back in. Organic pecans can naturally contain crop fragments etc. We check and remove them during processing, but cannot guarantee to have found every piece. During each spring season, pecan tree bears catkins, consisting of clusters of monoecious flowers arranged closely along a central stem that ultimately develops into fruits by autumn. 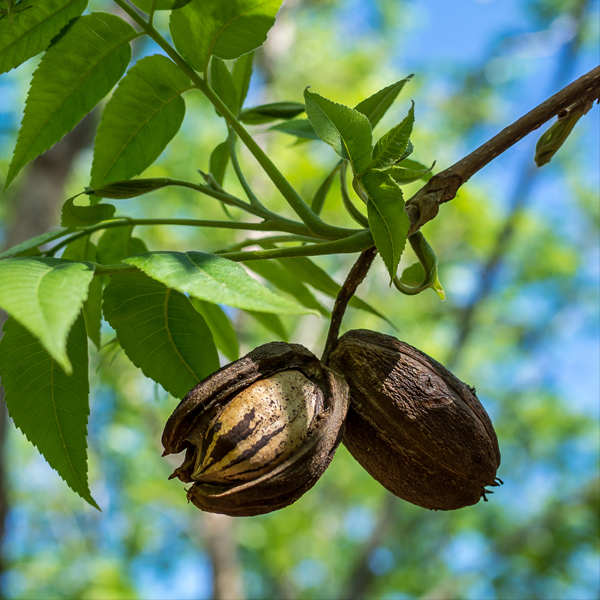 Pecan nuts, like the product of all other members of the hickory genus, are not real nuts but botanically fruits (drupe). Each fruit features dark brown, oval to an oblong shape, measuring 1 to 3 inches long and 0.5–1 inch broad. Their rough, outer husk or involucre is 3-4 mm thick. The hull splits off into four sections at maturity to release an edible kernel lying inside. Pecans generally harvested from October through December. Raw nuts then subjected to dehydration, the process which is essential to remove moisture and to improve their keeping quality. The nuts are rich in monounsaturated fatty acids like oleic acid and an excellent source of phenolic antioxidants. Regular addition of pecan nuts in the diet helps to decrease total as well as LDL or “bad cholesterol” and increases HDL or “good cholesterol” levels in the blood. Research studies suggest that the Mediterranean diet, which is rich in dietary fiber, monounsaturated fatty acids, and antioxidants would help to prevent coronary artery disease and strokes by favouring healthy blood lipid profile. 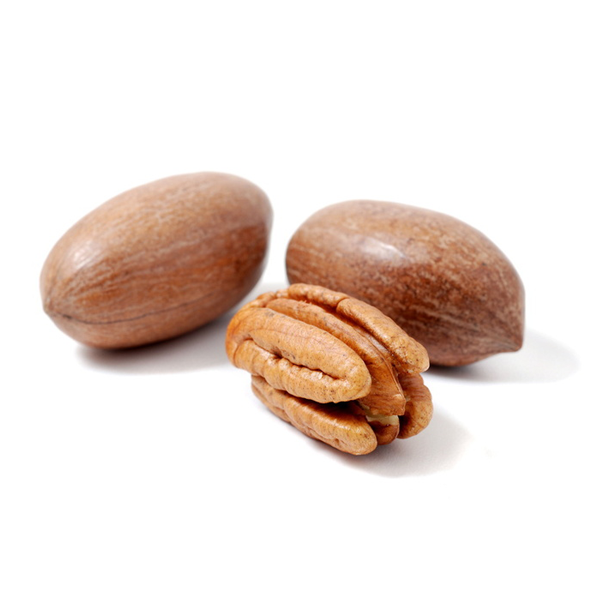 Pecan nuts are a rich source of many phytochemical substances that may contribute to their overall antioxidant activity, including polyphenolic antioxidant ellagic acid, vitamin E, beta-carotene, lutein, and zeaxanthin. Cool milled below 44°C from unroasted South African pecan nuts, and a little cold-pressed sunflower oil, no added salt. Delicious as a bread spread, in sauces, dressings, nut-milk, dips and baking. 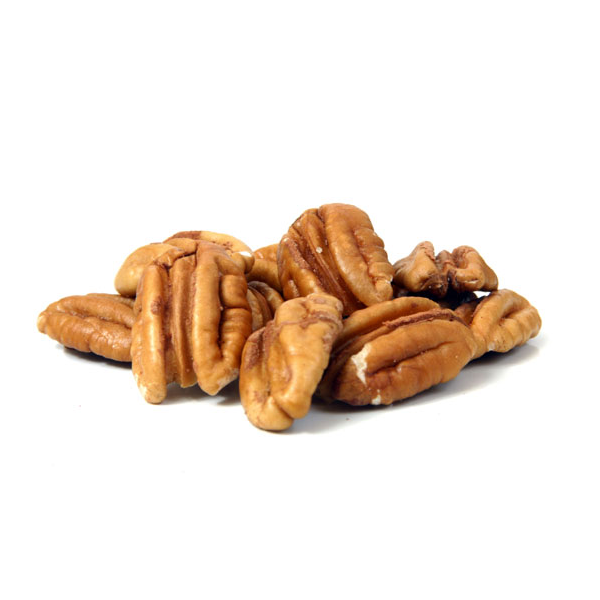 Organic pecans 91% - Cold pressed organic sunflower oil. Natural nutritious oil may separate on the surface, just stir back in. Organic pecan nuts can naturally contain crop fragments etc. We check and remove, but cannot guarantee to have found every piece.